Are you a school or a teacher? Launch quiz competitions between your students with Quizzito Modarris and monitor the statistics in real time. Are you concerned about the misuse of screens connected by children? Use technologies to make them read. Quizzito family allows you to offer rewards in exchange for Quizzito reading points. Would you like to animate a reading space? Make of reading an event with quizzito event kit and lunch competitions. What is the use of Quizzito Family? Quizzito family allows you to reward the reading of your children. Promise a reward to your child in exchange of Quizzito reading points. How to use Quizzito Family? Download the Quizzito application (for your children) and Quizzito family (for you) from the Playstore or AppStore. how can I find the books in which the quizzes are on Quizzito ? The complete list of the titles is in the main page menu. Soon, the readers will be able to read books on Quizzito. 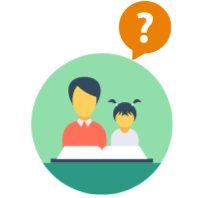 How can I sign up my child on Quizzito ? Click on add a child and enter the information concerning your child. How can I fix the number of points of a reward? The number of points assigned to each quiz depends on the level of the child. start with promising small rewards for a small number of Quizzito points. Is it for free ? You can test the features of Quizzito family and your children can play up to three quizzes free of charge. Where can I buy the premium version? If you have a credit card, you can buy Quizzito family online. Can I use Quizzito on a PC ? what is the use of Quizzito ? Quizzito allow you to answer quizzes on books. If your teacher is enrolled on Quizzito Moddaris, He/She can launch a reading competitions between the students. With Quizzito family, your parents can promise you of rewards in exchange of Quizzito reading points. How can I log into Quizzito ? sign in on the application or the www.quizzito.com Web site. Can I read books on Quizzito ? Not for the moment, but we will soon create a section for it. How to find the book’s quizzes that I have read ? If a QR code is in the back of the book, scan it and the quiz will appear. Otherwise, insert the first letters or the beginning of your book title. What is the use of Quizzito Moddaris? Quizzito Moddaris serves in creating a pleasant activity around the book while using the new technologies in class. what do I need in order to use Quizzito Moddaris? To use Quizzito Moddaris, You just need books as well as a smart phone or a tablet with internet connection. Click on 'Teacher' then “Sign up”. Then, enter your information. Congratulation! Is there a free version?? Yeaah ! Download the Quizzito application on a smart phone or a tablet. Print the users cards and hand them out to your students. How to organize the activity in class? What are the advantages of the premium version of Quizzito? You can use all the quizzes database of Quizzito, choose the duration of the competition and print certificates with just one click. How can I find the books in which the quizzes are already on Quizzito? The complete list of the titles is in the main page menu. Quizzito does not contain online books. The principle of quizzzito, read, play and win consists of children reading books, passing quizzes on the website or quizzito app and earning points. AIn addition to the basic functionality of Quizzito, several products meet the needs of users whether it is families with Quizzito family, schools with Quizzito Moddaris, libraries or private companies with Quizzito event kit. Define the timetable of the competitions, the list of the books to read and the number of the participants on our administration console. Our one, three or six tablet interactive kiosks enable you to take a quiz every three minutes for each tablet. Our administration console offers you a powerful statistical tool on users and books. 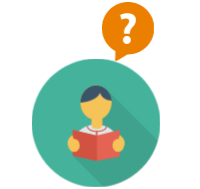 Our main customers for the Quizzito Event Kit are libraries or private companies. Quizzito family, a friendly and familiar application that encourages children to read. Your child receives a gift notification. He will have to read books and pass quizzes on Quizzito until he gets the required number of points. Follow your child’s evolution through quizzito family. You will receive notifications on his quizzes and you can send him encouragement messages. When bundling Quizzito family cards, competitions can be arranged for the group of children. You can use the 1600 quizzes available in our database or write your own quizzes using our administration console. Children will read the books according to your predefined list and will pass Quizzes on Quizzito. Our administration console will allow you to follow the evolution of the competition, and to collect statistics concerning the reading and the books. How to get a Quizzito account ? Your parents : They download Quizzito family on playstore and create a Quizzito account. Your teacher : If the school is already registered on Quizzito, ask your teacher for your credentials.